I’ve often heard that a listener will determine within a span of 7 seconds, whether they enjoy a song or not. Fortunately I hung around longer than that with my first listen to the opening track, “Power In The Blood” from A Festal Shout. The song intro brings in a traditional gospel tune “Down to the River to Pray”. Dull and boring before the sound builds, the drums come in, and the band explodes into life with Justin Palenscar picking up the chorus. The trio of tracks following “Power In The Blood”, carry a blistering pace with catchy sing-a-long choruses. The band’s debut EP, Tumultuous Noise, carries a theme of punk praise from beginning to end. A fiercely proud and …well… tumultuous proclamation of faith in the Creator. Justin’s vocals clearly deliver the message forthrightly with a focus found in the majority of of the worshipful anthems sung during any Sunday service. But it’s the boldness and single mindedness of A Festal Shout that is breathtaking. 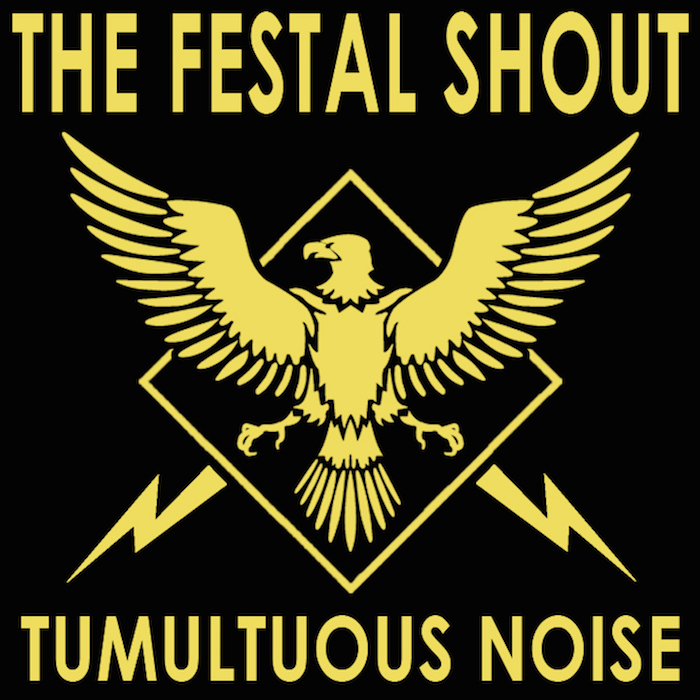 Tumultuous Noise from A Festal Shout is street punk at its finest; loud, raucous, while bringing its message delivered with the bold ferocity of the fervent.